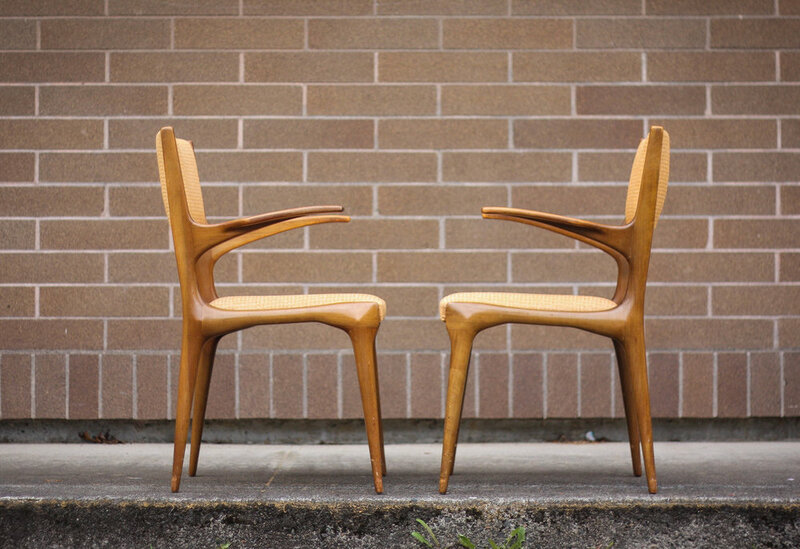 Featured here are a set of incredible, sculpted walnut, dining chairs. 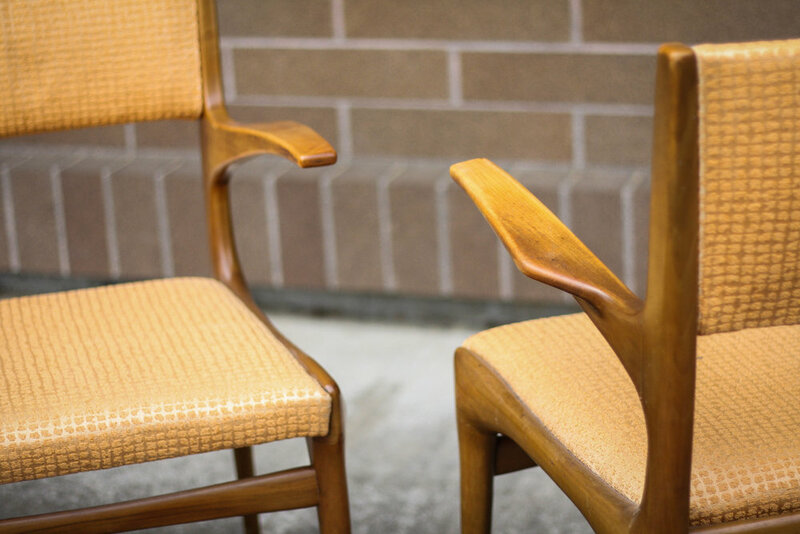 Designed by Carlo De Carli in 1953 for Cassina of Italy. 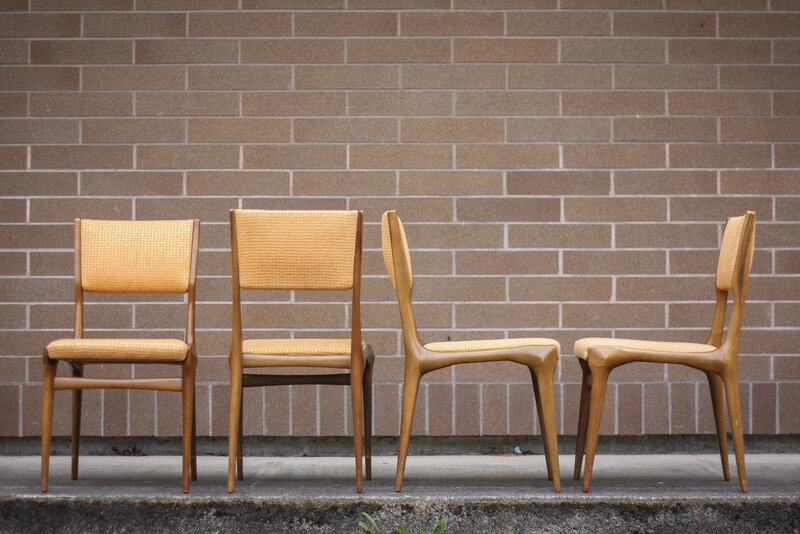 Four side chairs and two arm chairs. Typical light wear to the frames primarily around the feet and edges from use. Rock solid structurally and could easily be refinished to look brand new if desired. Reupholstery recommended and we can assist in the process if desired. Black leather would look amazing. There is a set of 12 on 1st Dibs right now for $55,000.